Okay, real talk here for a second. There’s a truth floating around in agency land that everyone understands and never talks about – it’s that digital banners are an afterthought. As of March 2017, display ads are generating 5 clicks for every 10,000 impressions (that’s only 0.05%). Whether it’s a big campaign or a simple promotion, traditional agency creative teams aren’t exactly jumping up and down at the prospect of another big box or leaderboard. And with such an abundance of uninspired, in-your-face messages constantly competing for attention, who can blame them? Digital banners are a tough game, especially when you only see them as a way to get people to click. But digital agencies don’t look at banners simply as a way to interrupt someone’s reading experience. Instead, creative teams at digital agencies see the prospect of banners as a vital part of the digital user journey. Although the overall number of click-throughs might seem dauntingly low at first glance, studies have shown that digital banners can play a major role in increasing brand awareness and purchase intent. Digital agencies are about utilizing technology to create marketing opportunities, and digital banners are exactly this. If you want someone to be excited to build a set of banners, use a team that gets excited with the opportunity to combine technology and visuals. Take Artifier by Bombay Sapphire, for example. 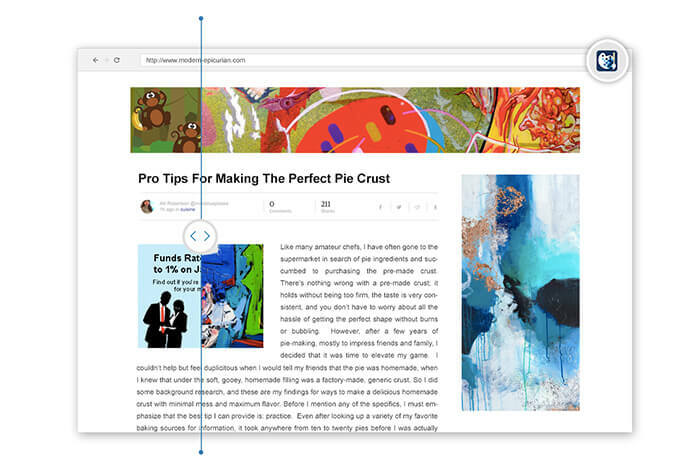 The team behind the project didn’t look at banners as individual ads, they saw it as an opportunity to build a Chrome extension to turn websites and blogs into digital art galleries. 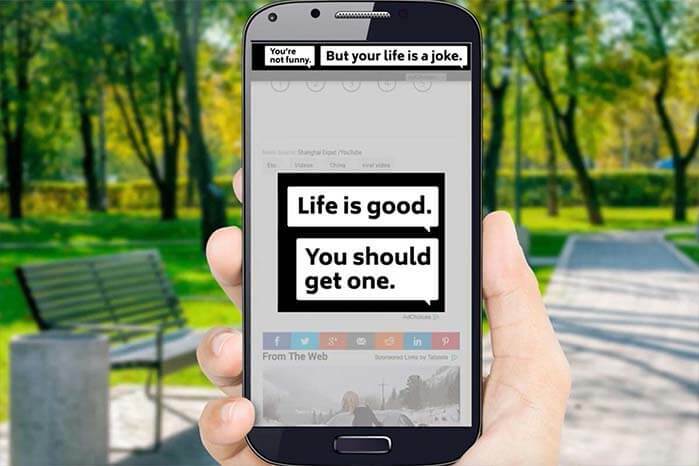 With digital banners, the ad doesn’t need to end with a single click. Often times digital agencies see banners as a way to activate a larger experience. Sure, the end goal can be to direct users to a page where they can further interact with the brand, but it doesn’t mean they need to go there right away. This campaign from Ikea is a great example of disrupting the expected user experience. Rather than driving accidental clicks to a landing page, the banner politely asked if users meant to click. There are so many uninspired banners floating around out there that when you do find something interesting and effective, it sticks with you. Digital agencies thrive on this challenge. Whether it’s breaking the mold with new tech or looking at the banner in a completely different way, the challenge to create a banner campaign that cuts through the fray is inspiring. This set of anti-bullying banners by BIMM is a good example of a campaign that sticks out. Not only was the execution visually simple, but it made a purposeful, yet unexpected emotional connection with users. The digital banner’s environment is just as important as the banner itself. Digital agencies understand that user experience of a banner doesn’t begin when someone clicks, it begins when they arrive on a page. Working closely with media partners, creative teams can get a clear sense of the environment where the banners will be placed and can cater the execution to work with it. This campaign from Cheapflights.com is a good example of taking advantage of the environment. These ads were placed primarily on sites about destination events, and the interaction allowed users to start booking flights directly from the banner. If there’s one thing digital agencies cringe at, it’s PowerPoint presentations that feel like slideshows. It’s a key insight as to why digital agencies never turn banners into a slideshow of images. With animated transitions, interactive components, and the ability to manipulate frames and sizes, there’s just so much more you can do within a banner. Take, for instance, this banner campaign from Heineken where they turned a series of banners into a live concert driven by social media. digital agencies see the prospect of banners as a vital part of the digital user journey. At digital agencies, banners are hardly an afterthought. With a blank canvas of technological and visual potential, the thought of creating something emotionally impactful and interactive is exciting. So, the next time your media partner talks about the potential of banners, think about challenging your digital agency to break some rules and come up with something fun and exciting.